If you could sum up The Nix in three words, what would they be? 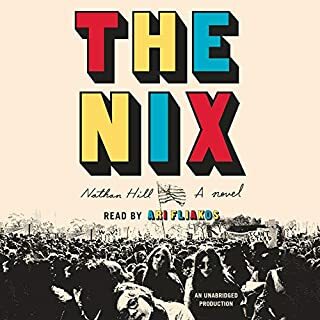 Would you be willing to try another book from Nathan Hill? Why or why not? The side story about the student and the professor I thought was unnecessary and did not add to the story about the drama between the mother and son. The narrator was amazing and the story was incredible. 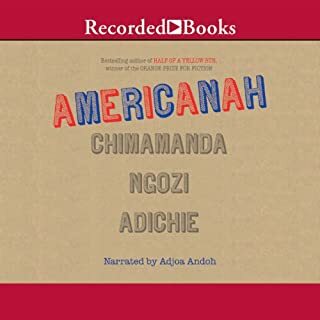 I wanted to listen to this book every day. I loved the story of the lives of these characters and their journey to self discovery. I loved the immigrant perspective of Ifamelu's (sp?) voice in The United States. I was sad when the book ended. His stories are so beautifully written they make you ache. His characters are painfully flawed and real and vibrant and wonderful. This story, like everything I have read by him was masterful. I really liked this story. It was very compelling and I wanted to keep listening to it even after I arrived home or to the office. It kept me guessing. 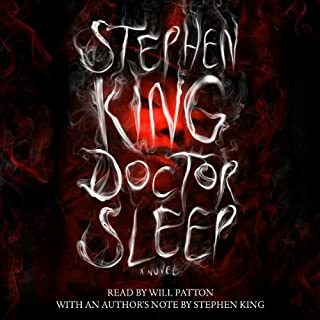 What did you love best about Doctor Sleep? 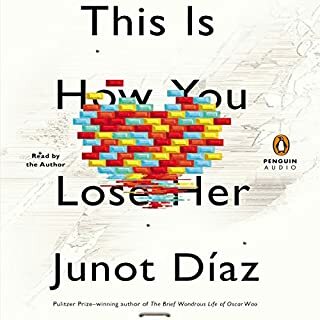 I could have listened to thins book all the way through without stopping, but on the other hand I didn't want it to end. I have often wondered where in the Stephen King Universe Danny Torrance and his Shine ended up and now I know. I didn't want it to end. Since I read IT locked in the bathroom because I was so terrified and loved every minute of it when I was 11 I have devoured every Stephen King book I could get my hands on. This one did not disappoint. Loved it so much. 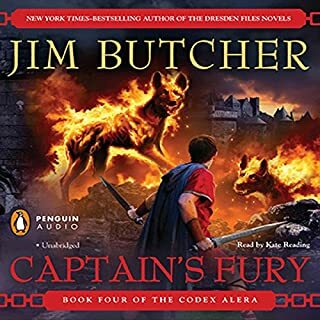 If you could sum up Captain's Fury in three words, what would they be? A continuation of an epic struggle of god vs evil. I love these characters. I already started the next book because I am so excited to find out what happens next. He narration is just perfect. Each character is distinct and I love listening to her. I am so involved in this story I find myself choking up listening to it a lot I also laughed out loud in many places. These characters are so human and real I love hearing about their lives. I will be sad when the series is over. This series has quickly moved to my top 10 series. For years he has endured the endless trials and triumphs of a man whose skill and power could not be restrained. 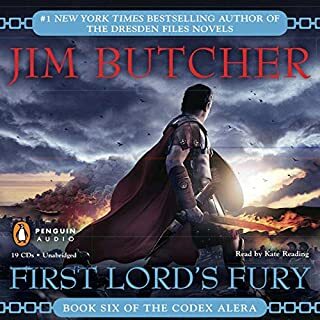 Battling ancient enemies, forging new alliances, and confronting the corruption within his own land, Gaius Octavian became a legendary man of war - and the rightful First Lord of Alera. But now, the savage Vord are on the march, and Gaius must lead his legions to the Calderon Valley to stand against them - using all of his intelligence, ingenuity, and furycraft to save their world from eternal darkness. What made the experience of listening to First Lord's Fury the most enjoyable? This is an incredible epic saga where the villains are very bad and the heroes very good. The story is compelling and I never wanted to stop listening to it. The narrator was excellent as well. The only thing was this particular segment had some audio flaws but it was not bad enough to detract from what an incredible story this is. 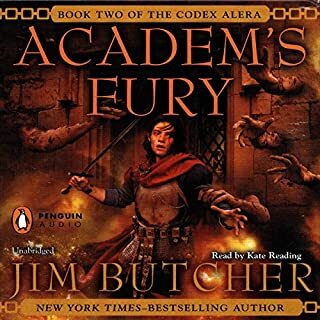 What was one of the most memorable moments of First Lord's Fury? The battles are amazing. I can almost see how this would be if it were a movie. I did not want the series to end. I have listened to many of Kate Reading's performances and this, like all of them, is superb. 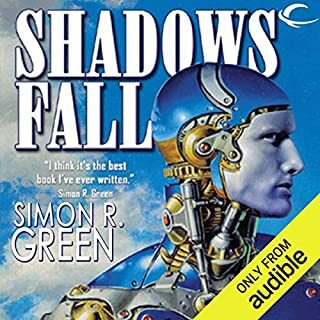 One of the finest narrators around. The battle scenes made me cry. I have come to love these characters. I soared with their triumphs and weeped with their defeats. What made the experience of listening to Cursor's Fury the most enjoyable? 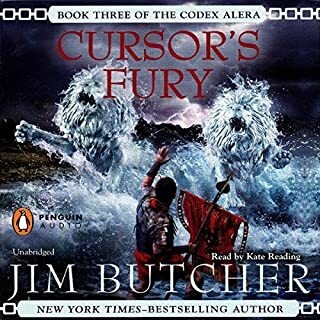 What other book might you compare Cursor's Fury to and why? This series is unlike any I have read. At its heart it is an underdog story about good and evil but it is so much more. The characters are rich and complex and there are many twists and turns. 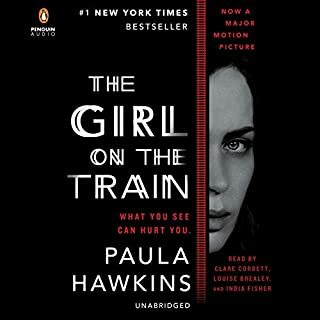 I am really excited to listen to the next book. I have really grown to like all of these characters and there are alot of twists and turns in the story line. This particular book ended on a real cliff hanger and I am excited to see what happens next.